Sixteenth-century Roman presses turned out hundreds of technical treatises and learned discourses written in the vernacular. Covering topics as diverse as the cultivation of silkworms, the lives of the saints, and the order of the cosmos, they made esoteric knowledge accessible to a broad spectrum of readers. Many of these books were illustrated with beautiful etchings, engravings, or woodcuts, and some were written in the form of theatrical and engaging dialogues. For writers, publishers, printers, and artists, bringing such books into the world changed the lives of those involved in their production. The process of publication, a risky business in itself, forged lively social networks centered on making and reading these treatises. 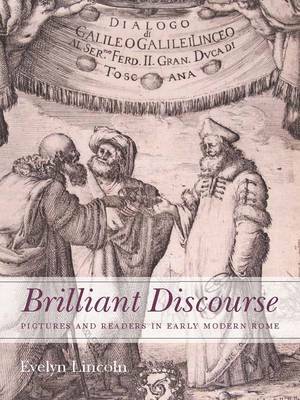 Brilliant Discourse follows the story of the Roman illustrated book from the printed page back out to the Renaissance streets, piazzas, palaces, convents, and bookshops where these expensive publications, carefully shepherded through the press, acted in the real world to create lively communities of readers and viewers.